Today’s iOS version has a build number 12B440. An interesting thing about this iOS 8.1.1 is that it hasn’t been seeded to developers for testing before it became available for public. The release comes just several weeks after the release of iOS 8.1.1 that contained a bunch of similar bug fixes and nothing more. We all hope that the guys from Cupertino will make some serious changes in iOS 8.2, that is expected to be released late in December or in January. 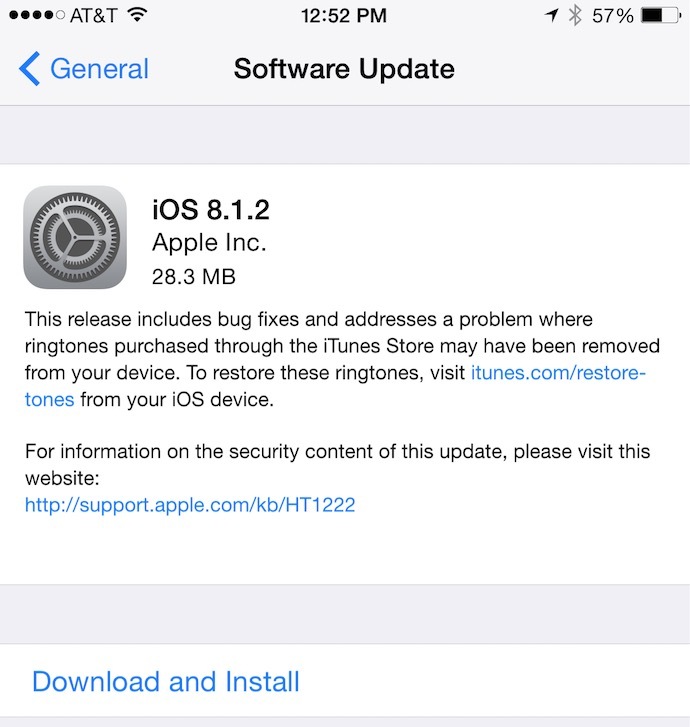 The latest version of iOS is available through the software update option of the Settings menu. 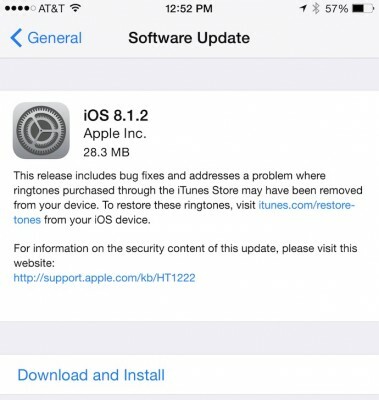 If you have experienced any problems with downloading ringtones from the iTunes Store, you can upgrade to iOS 8.1.2 right now. This is not a beta-version, that is why I’m sure it is stable.